Limited Supply. (Curcuma longa) This variety has a bright, orange-red interior with a slightly sweeter taste. It is similar in health benefits to yellow turmeric. Delicious for juices, smoothies, and cooking. Three to five rhizome seed pieces used for sprouting your own turmeric plants. Comes with our pre-sprouting and growing guide. Important shipping information: We ship our rhizomes starting in mid March, to southernmost states first. We are unable to provide rhizomes before this time. 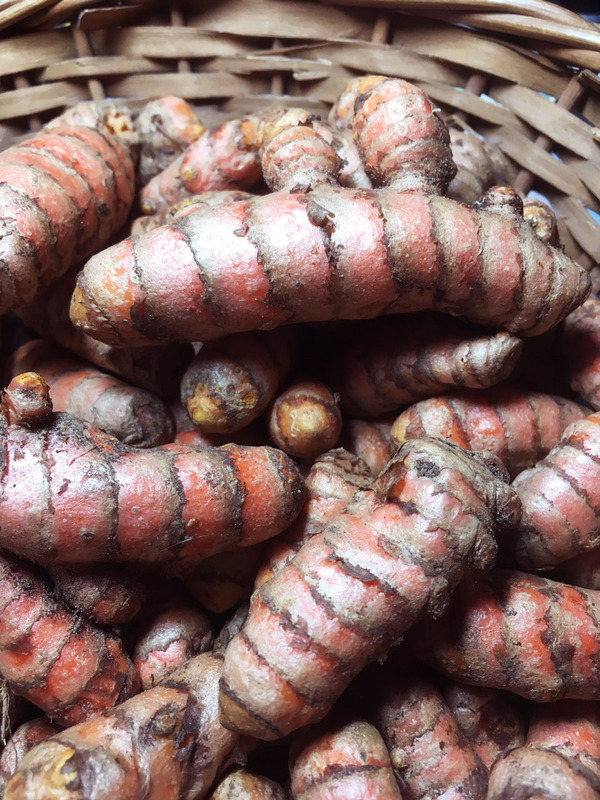 Turmeric rhizomes ship separately from any other items in your order, including turmeric and ginger plants.